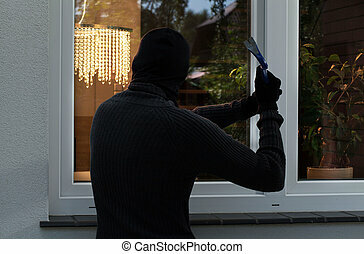 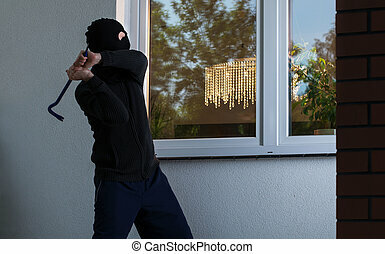 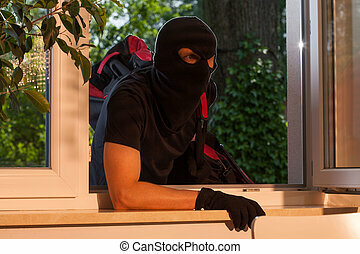 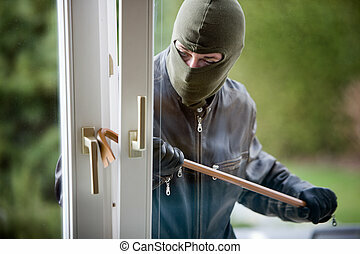 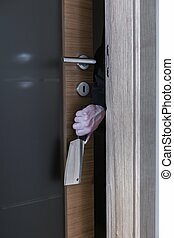 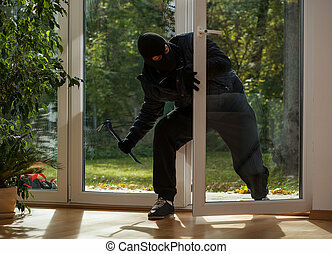 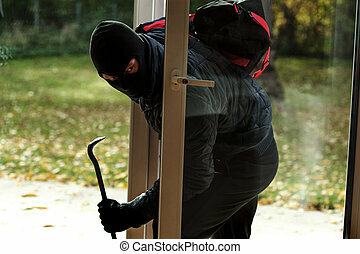 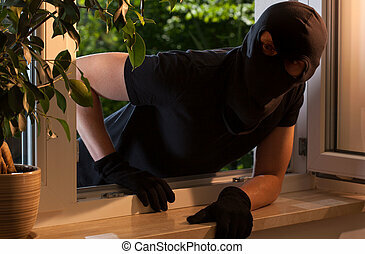 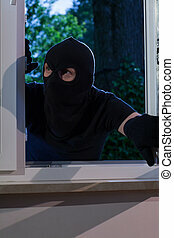 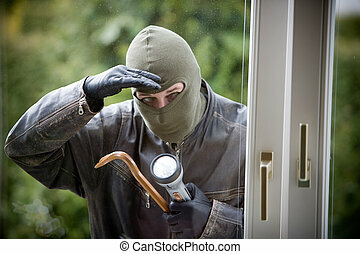 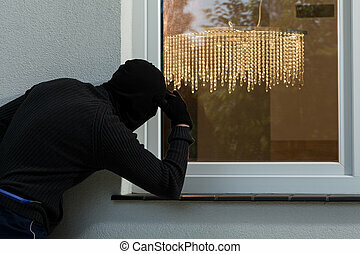 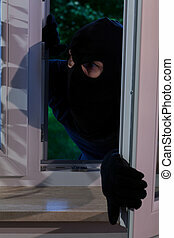 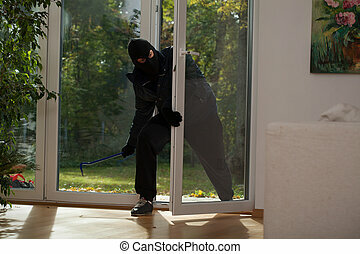 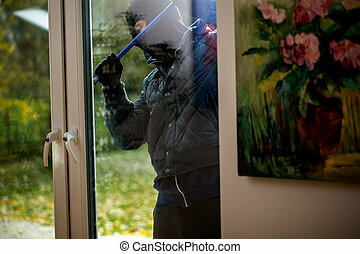 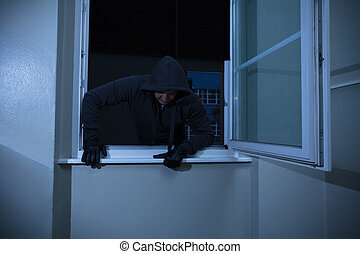 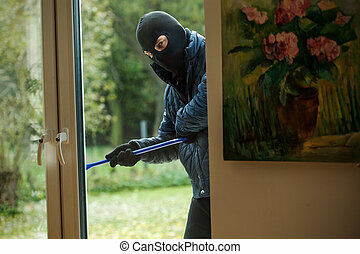 Burglar breaks the window. 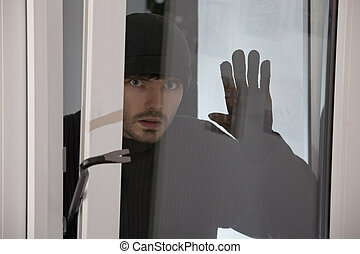 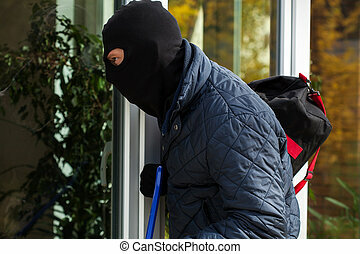 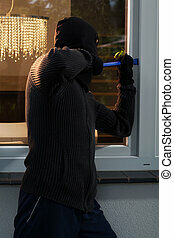 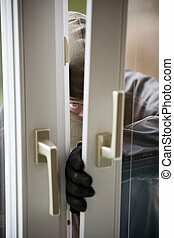 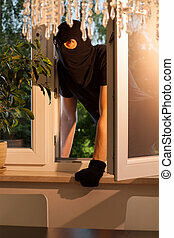 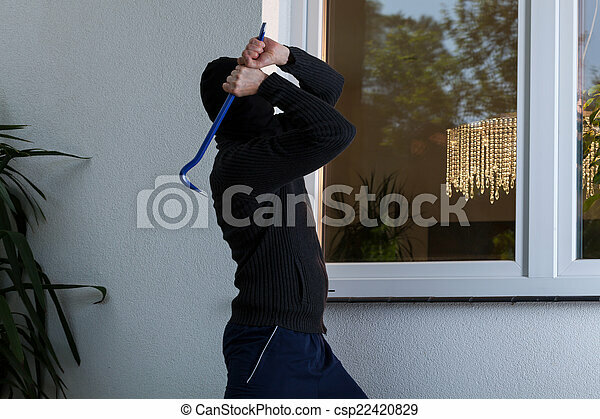 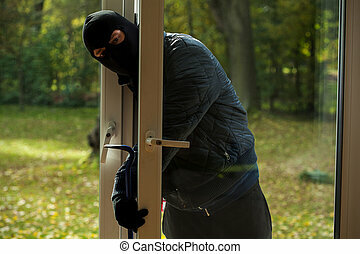 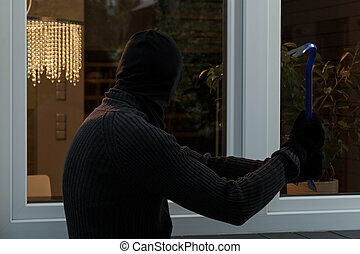 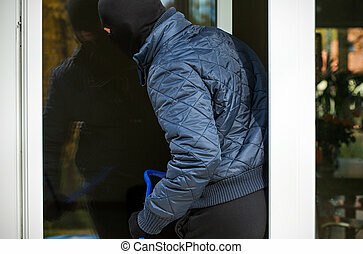 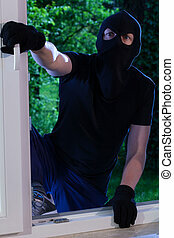 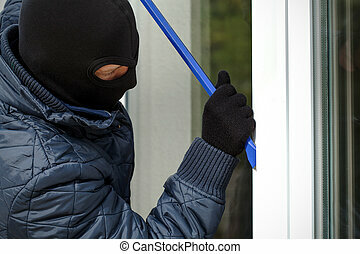 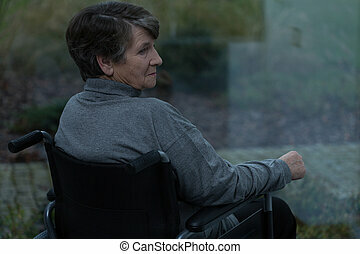 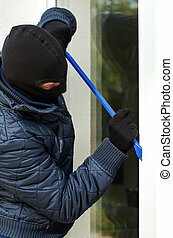 Burglar with obscured face trying to break the window. 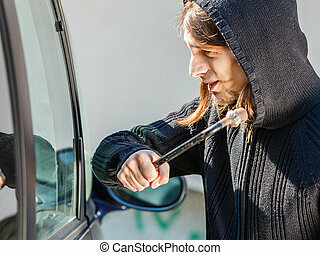 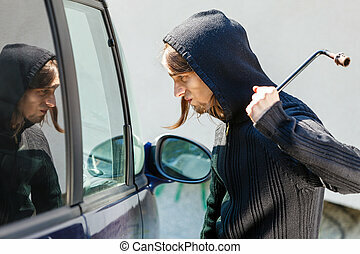 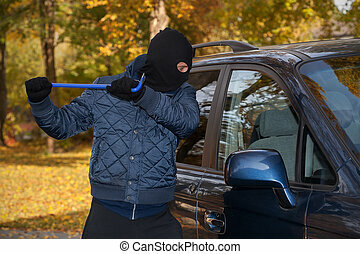 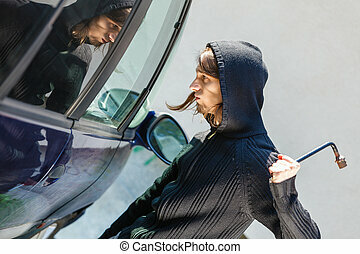 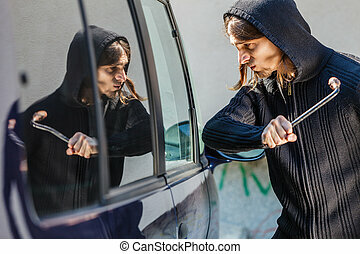 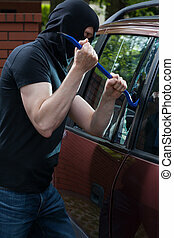 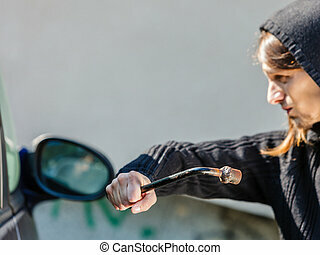 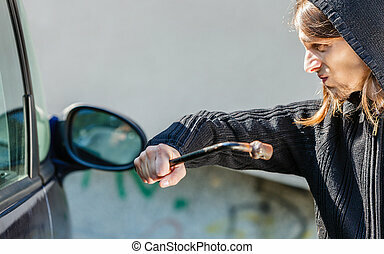 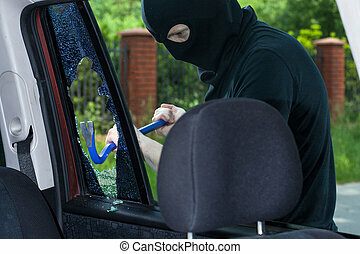 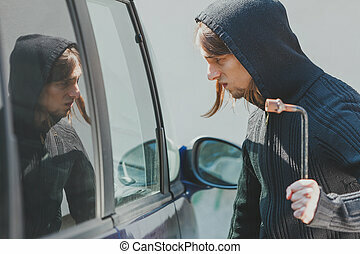 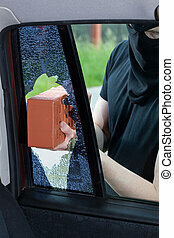 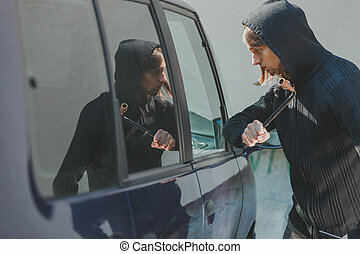 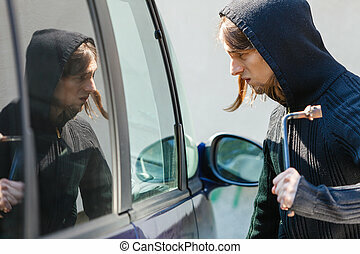 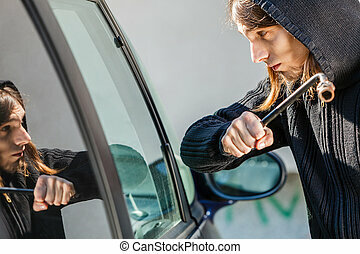 Transportation, crime and ownership concept - Male hooded thief burglar breaking smashing the car window.